Fully licensed and Insured, we offer a full range of plumbing, heating, and air conditioning services. Our technicians are factory certified and all new installs receive automatic 10-year warranty upgrades. Emergency Service -24 hour emergency service available. Service Location: Middlesex County and the Greater Boston, Northwest, Arlington, Bedford, Belmont, Billerica, Burlington, Carlisle, Chelmsford, Concord, Lexington, Lincoln, Reading, Somerville, Stoneham, Sudbury, Tewksbury, Waltham, Westford, Wilmington, Woburn and many others. Save money and never take a cold shower again! Have an electric water heater? 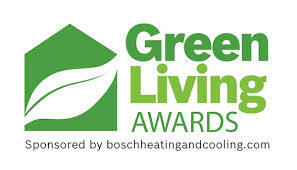 Start saving with a new heat pump style and get rebates too! Heating experts and those with radiant heating know that when it comes to comfort, indoor air quality, and energy efficiency, radiant floor heating is unmatched in creating the most enjoyable and healthy areas of a home at lower monthly costs. Snow Melt Systems, keep your driveway clean, dry and safe all winter long! read more . . .